When the weather is cool, there’s nothing like a hot breakfast to warm the heart and prepare you for a busy day. 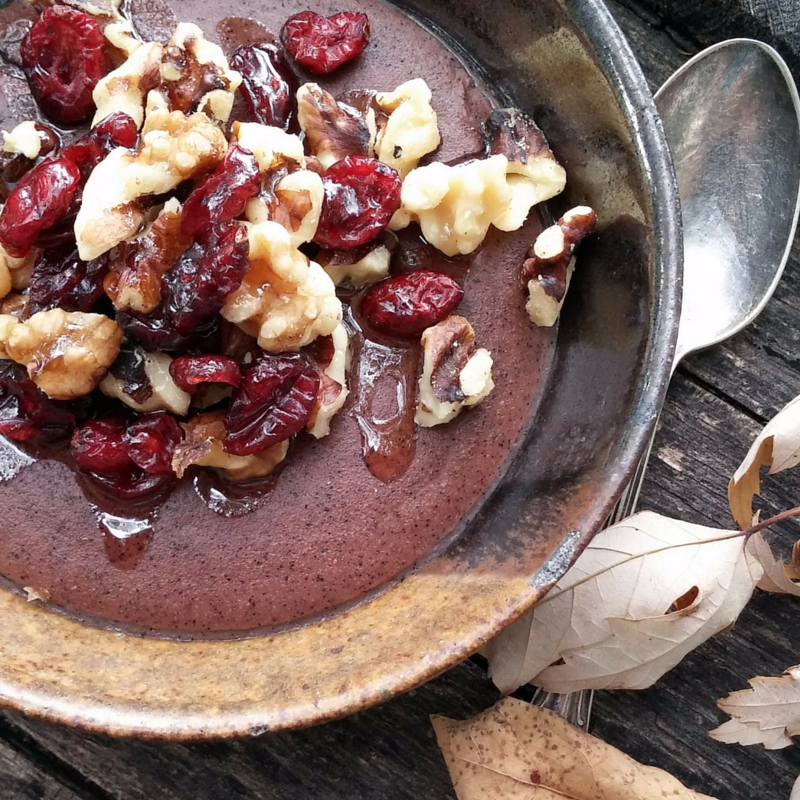 Just because it’s cold outside doesn’t mean you have to settle for a dreary breakfast—this spicy-sweet combination of superfoods pinole, cranberry, and walnut tastes festive and decadent but is ultra-healthy. Adding a pinch of freshly-ground cardamom and powdered ginger takes it over the top. So forget pumpkin-spice anything, because the antioxidant-rich power of cranberries and pinole is where it’s at. Pour mixture in pot and place on stove on MEDIUM-LOW heat. When it reaches your desired consistency (for thicker pinole cook longer), stir in the spices and remove from the heat. Pour into a bowl, sprinkle with walnuts and cranberries, and enjoy the perfect breakfast! PRO TIP: For even more holiday flavor, try stirring in ½ cup of cooked sweet potatoes while the pinole cooks. Add honey to taste, and bask in the skin- and eye-boosting betacarotene that this delicious tuber provides.